All for free! :) And here are some products I love. CNN contributor and TV host Deborah Kobylt invited me on her show to talk about everything birth and beyond. She says she found me on Instagram and is enamored. Enjoy! Join me and amazing integrative and holistic pediatrician Dr. Elisa Song for her Thriving Child Summit 2017. Listen to me and renowned mind/body clinical nutritionist, renowned author and inspirational speaker, Stephanie Dodier - exploring the mind body connection in pregnancy and birth, preventing and healing from Birth Trauma for moms and babies. Join me and Katie of the Wellness Mama podcast - to learn essential information expectant parents need to know! Getting real with Allison Micco of the Don't Freak Out podcast - learn about trusting your body's innate and intuitive wisdom, dealing with fears and anxiety in pregnancy and birth, how to enhance your mood and the positive, calm vibes that are so important for healthy happy birthing. We also explore how the medicalization of birth can actually increase fear and anxiety surrounding birth, and how you can create your dream birth plan within that system. I absolutely believe so and am here with expectful to tell you how. Join Dr. Kelly Brogan and I as we explore the trends, myths, lore and evidence around hospital-free birthing and midwifery with me. The US ranks near the bottom of industrialized countries in maternal and infant mortality. In countries with the best maternal/infant outcome, cesarean rates hover around 15% and 20-30% of births happen at home. What's the cause and what can we do? Check out my interview on Shana Ekedal's Soul Frequency podcast on birth How we came into the world - our first experience of life as babies, and giving birth ourselves - our peak life experience as mothers have huge impact on our lives. Learn what can be traumatizing, how we can prevent it and how we can heal. Listen to my interview on the "Reawakening Ancient Feminine Wisdom" summit, on why home birth is safer than we may think and SO much more! It was wonderful to interview with Marc Sklar The Fertility Expert! Check it out! It is all about having the best birth experience in all settings...once you do get pregnant! Learn about evidence based care, why our country is failing, and what we can do to give birth naturally without unnecessary medical or surgical intervention and improve mom and baby outcomes - on my interview with Dr. Michael Ruscio. discover what you can do to better the health of you and your newborn baby. Ryan Martin - the not so typical health coach, interviews me twice on his podcast: the first one is about the truth about childbirth, how to prevent birth trauma, and give birth in your own power, loving it however it unfolds; the second one delves more deeply into PTSD of birth trauma for moms and babies and how to heal from it. If you are looking to have a healthy, joyful birth without birth trauma then this show is for you. Interview with wonderful healer Isa Herrera MSPT. Join Dr. Kyle Wallner and me as we talk the benefits of midwifery & Chiropractic on this empowering episode of his Michigan Family Wellness podcast. Join Kate of Kate Alexandra Yoga and I as we chat about Yoga, Midwifery & Birth. 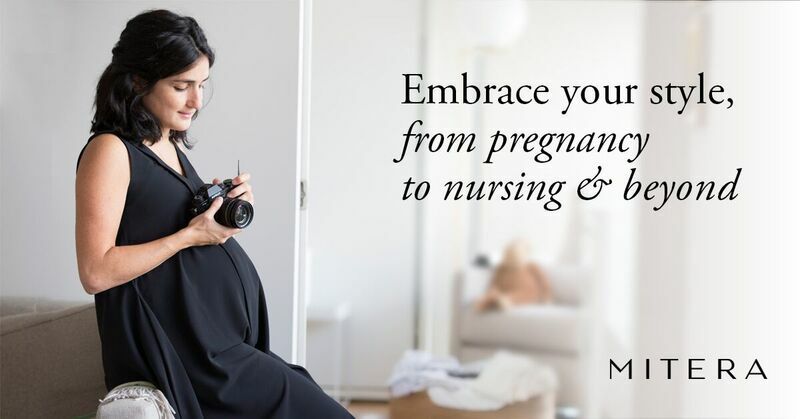 Join me on the Paleo Baby podcast from NourishBalanceThrive.com as I discuss my journey to midwifery, and my approaches to pregnancy, childbirth, and maternity care. Come to The Birth Hour as we talk about birth stories, my insight on pregnancy and birth as a midwife. Join me on Rockstar Birth Radio, learn about my own birth, and the experiences that led me to becoming a holistic midwife. Sarah and Matthew Bivens of diapodcast.com in the first podcast, ask me about birthing at home to midwifery, and normal, natural and joyful childbirth. "This interview is chock-full of great quotes, tidbits of information and morsels on resources for you all to take advantage of. I say listen to this one with a notepad and pen. Listen, pause and re-listen. It’s a great one!" In the second interview we discuss birth trauma, what is it, how to prevent and heal from it - for both moms and babies. Check out my in depth interview with host Cathy Ospina on The Fertility, Pregnancy and Birth Summit - as we delve into how to fulfill your soul's deepest desire to be a mom, optimize your pregnancy and birth with confidence, tap into your sensual, open to your divine feminine energy, birth with pleasure and powerfully transition to motherhood. "Why Mothers Should Take Back Their Pregnancy and Birth. If They Really Want to Be Healthy and Have a Healthy Baby; and How To Give Birth Naturally Without Unnecessary Medical or Surgical Intervention and Love Your Experience However It Unfolds"
Here's my interview on the Wellness Revolution podcast with deliciously provocative integrative medical doctor Dr. Veronica Anderson MD. We go beyond birth trauma and healthy birthing. We get real about the problems with our broken health care system. We shed light on the legal and financial pressures on health care providers - who practice under the threat of litigation and large malpractice premiums, yet can no longer afford take insurance after the affordable care act and keep their doors open, let alone afford to take the time needed to truly help people. Then we acknowledge that birth professionals themselves need to heal their own trauma from dealing with emergencies and devastating outcomes despite giving the best possible care, and we discussed the path to holistic healing is investing in and taking responsibility for your own health. We could all use some Clarity Breathwork! Enjoy my video interview with chiropractor and functional nutritionist Dr. Ben Weitz...as we talk all about having a baby in the US, why our country's maternity outcome stats are the worst in the developed world, what's the research say, routine harmful interventions when all is well, and what you can do about it. We're busting myths and chatting all about natural birthing practices without the need for unnecessary medical procedures or surgeries with certified fitness and fat loss coach Marcus Sidhu. Join me and Natuopathic physician Dr. Christine Schaffner as we talk about why birth is actually seen as a “crisis” in many hospitals and birthing centers, what is the best intervention for a woman during a healthy birth, why do 1/3 of women who give birth in the US describe their birth as traumatic, why are women giving birth MORE at risk in the US than they are in many other countries and how to TAKE BACK your birth. Check out my extensive interview on the Love and Guts podcast with Lynda Griparic, a naturopath and nutritionist, on birth in today's world, interventions and evidence based care, how you can have a homebirth experience in and out of the hospital. Having such fun conversation and getting REAL form all about owning your birth experience and your emotions, healing trauma and emotional pain, the difference between obstetricians and midwives and how it effects your experience, how to have a home birth like experience in the hospital, to what about partners, and minorities....on the We Here Man podcast. Exploring birth, maternity care, poor outcomes and trauma with Karen Betten on The Truth is Funny…Shift Happens Radio Show - Transformational Talk Radio; as well as prevention, healing and solutions. Join me and Dr. Aumatma, ND: Holistic Fertility Specialist on her podcast...all about midwifery, natural birth and tuning into our amazing bodies. Getting real about all things birthing in the hospital and home settings on the Happy Homebirth podcast. Would you like to interview me? Get in touch today! Here's an interview blog on Expectful all about birth plans. I adore this company Mitera, created by a Mom Entrepreneur who grew and breasted two babies at work, and wanted stylish clothes to accommodate her and other mamas. They make chic and practical clothing for the pregnant to postpartum mama so she can look and feel her best - at work, special occasions, or every day to Celebrate Motherhood. I wrote more about Mitera on my blog http://homesweethomebirth.com/blog/chic-pregnant-and-breastfeeding-fashion . This 44-day course is changing lives. I am passionate about changing lives. Vital Mind Reset is a program that will hold your hand and help you heal your life without a prescription. It will also introduce you to a community of people just like you – all working to transform their lives and revive their power and joy. Be a part of this community. Be a part of something greater and get yourself back! This course is a must, by renowned holistic psychiatrist Dr. Kelly Brogan, author of NY Times best seller 'A Mind Of Your Own', a dear friend and trusted colleague I can vouch for personally and support whole heartedly. I am thrilled to introduce you to one of my role models, integrative and holistic OB/GYN Dr. Christiane Northrup. I have read and implemented her books and wisdom into my practice and life. This innovative Ageless Goddess Online Course teaches you a new way to view growing older that brings excitement and joy to your life no matter your chronological age or your quality of life today. When you have the right information and guidance, youthful living can be yours and you can continue to thrive, create and engage in your life for years to come. Dr. Northrup shows you how to embrace your ageless goddess and live more vibrantly and youthfully regardless of your age or what our culture tells you. Growing older is inevitable, but making the decision to stay fully active and engaged in life is a choice. 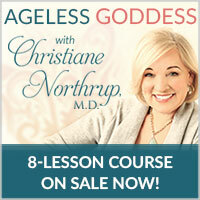 Dr. Northrup’s new online course, Ageless Goddess, incorporates women’s health and wellness that expands well beyond emotional, mental and physical well-being.